Hungary’s foreign ministry has summoned Ukraine’s ambassador to Budapest after “Ukraine’s anti-Hungarian policy reached a new level”. Parliamentary state secretary Levente Magyar told a press conference on Wednesday that he had received ambassador Liubov Nepop at the ministry. He said the summons was due to the existence of a “death list” of Transcarpathian Hungarians in Ukraine, as well as a call for the collective deportation Ukrainian-Hungarian dual citizens on the Ukrainian Parliament’s website. Further, Ukraine is introducing military installations near the Hungarian border, Magyar added. The state secretary referred to “an extremist Ukrainian website” that had published a list containing the data of 300 Hungarian state or local council officials in Transcarpathia who it claims are dual citizens. Péter Szijjártó, the foreign minister, is also on the list, he added. He said the list was being referred to as a “death list” because there were past examples of similar lists of Ukraine’s enemies, and those on them had become victims of murder. Magyar said it was also worrying that the Ukrainian Parliament’s website provided space for a message urging the collective deportation of Ukrainian-Hungarian dual nationals. He also noted Hungarian concern over a new “military base” in Transcarpathia, a few kilometers from the border of a NATO and European Union member state. He added that it was “surprising” that Ukraine had the capacity to set up such a base, given the fighting going on in eastern Ukraine, he added. He said it was apparent that powerholders in Ukraine were willing to go to extremes to exacerbate tensions between the two countries. The Hungarian minority may be intimidated and even existentially threatened in Transcarpathia as a result, he said. 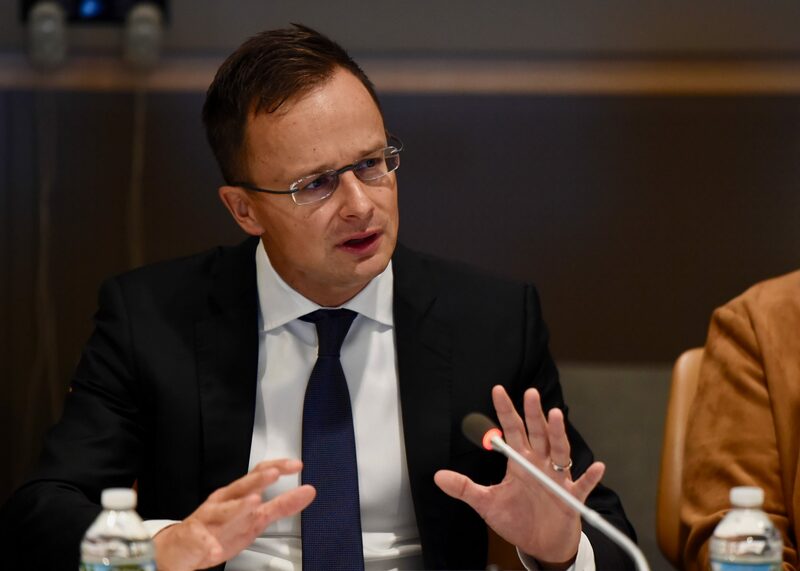 Hungary, the state secretary said, calls on Hungary’s EU and NATO allies with concerns about the Hungarian human rights situation in recent years to end their silence and to look closely at what is happening in Ukraine. He told the news conference that the ambassador claimed the Ukrainian state had had nothing to do with the list on the Myrotvorets website or the petition on Parliament’s website. As regards the military issue, the ambassador had said it was in the interests of Transcarpathian citizens. When Nepop left ministry building, she refused to answer questions from the media.